With this technology you can set up a simple and efficient access system for your home or business, and at a great price! Through seamless integration with the Loxone Configuration Software, you can easily change access rights at different times of day or link access with other functions. (e.g. : When you get home in the evenings and put your key to the iButton reader: the door unlocks, the hall and living rooms lights turn on, and your favourite music starts playing. Your imagination is the only limit! This solution also lends itself perfectly to many other uses, for example security in a machine room. Goal: Only authorised workers can operate certain machines. The machine is activated when an authorised member of staff puts their iButton in the iButton reader. The iButton reader then holds onto the key with its magnet. At the Loxone headquarters in Austria we use this system very successfully in our building. This is a "1-Wire Solution". In order to use an electronic iButton reader with Loxone, you'll also need Loxone's 1-Wire Extension or a similar 1-Wire device. When the key is put to the iButton reader, a signal is sent. If it is a magnetic key (iButton), it is then held in place by the reader. 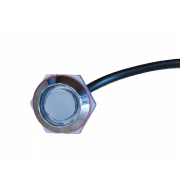 The iButton reader can be connected to a 1-Wire device, such as Loxone's 1-Wire Extension. Only 1 iButton reader can be used per Extension, but limitless iButtons can be used. 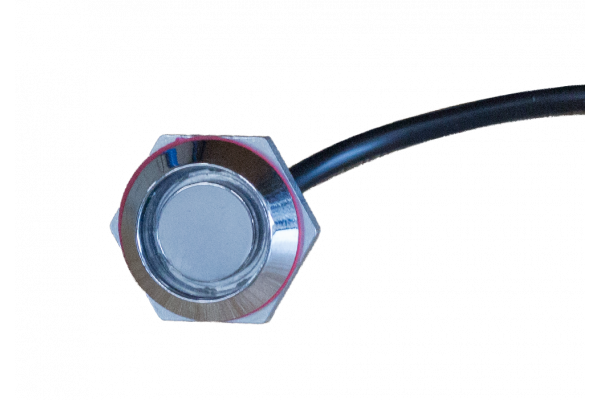 PLEASE NOTE: While the iButton Reader is Waterproof, it's not recommended for use in extreme environments, since the materials are not corrosion-resistant enough over long periods of time. The 1-Wire Extension allows you to use 1-Wire sensors as part of your Loxone system. Using 1-Wire sensors is very cost effective, especially in installations with large numbers of sensors. Outdoor electronic key reader based on 1-wire technology for simple access solutions using 1-Wire iButtons. Works with both magnetic and non-magnetic iButtons. Magnetic iButton Electric key fob for creating simple access solutions with Loxone and 1-wire.